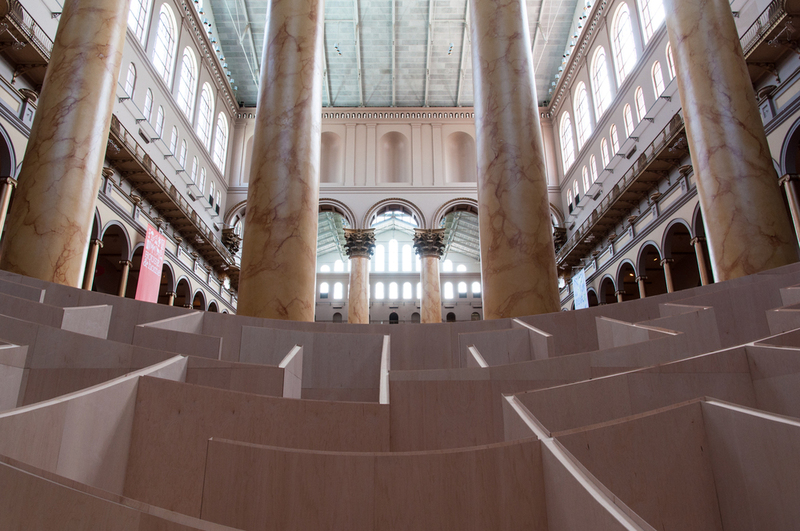 BIG has just completed a modern take on the maze, constructed in the Great Hall of the National Building Museum in Washington, D.C. The firm has approached the project with its signature methodology of rigorously evaluating form in relation to function to find new approaches to a design problem. This manner of design thinking is seen in every building they undertake, primarily conveyed in their signature diagrams. The historical form of the maze, found in cultures around the world from ancient times, has been that of increasing confusion as one wanders further into its depths. To bring new life to the form, BIG has subtracted a convex form from the 18 feet high walls of the maze. The further you journey into the center of the maze, the better you understand the path you've taken, as the wall's height decreases. Not only does this lead to personal enlightenment, it is also a spectacular new way to encourage the visitor to reexamine the Renaissance detailing of the building through the dynamic framing of the walls. View of the maze from the Great Hall. Looking up within the maze. View from the center of the maze. 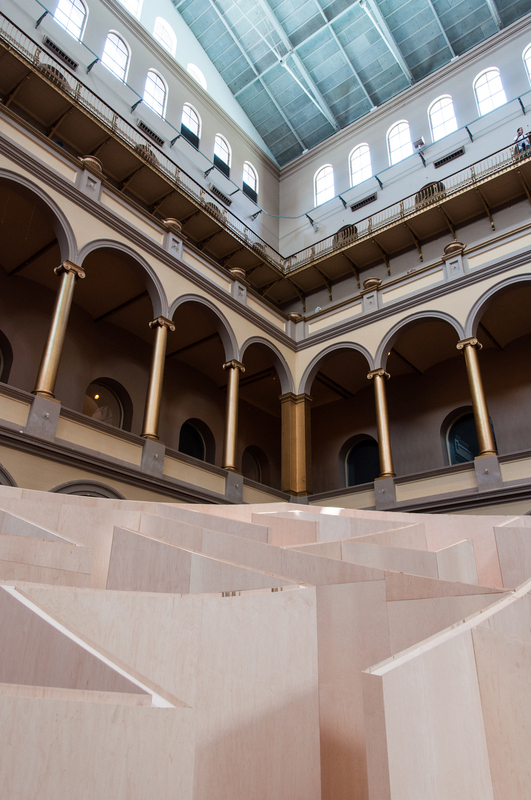 The material selection of plywood by BIG sought to complement the earth tones of the Building Museum's interiors while contrasting with its Renaissance detailing through its sparseness of finish and form. 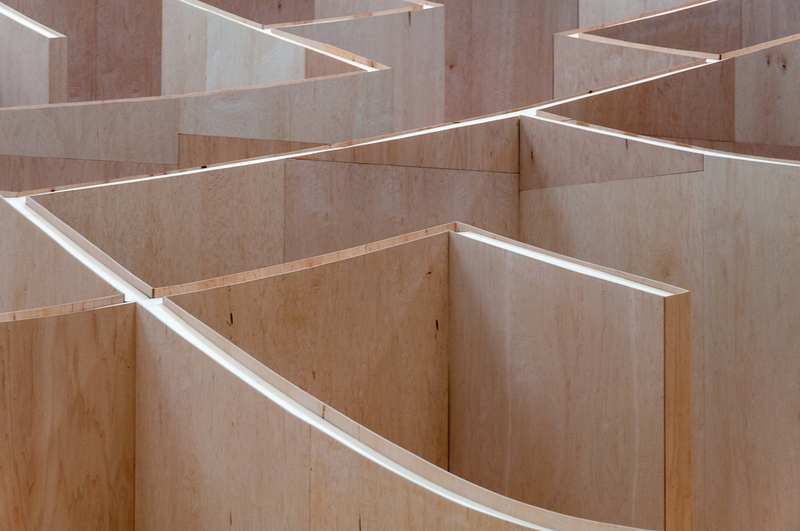 Detail of the maze wall intersections. Maze walls at the center. Construction was achieved in just under a month with the help of work donated by local contractors. The base floor was constructed first, with a break in construction for a previously scheduled wedding in the Hall before resuming with the walls. 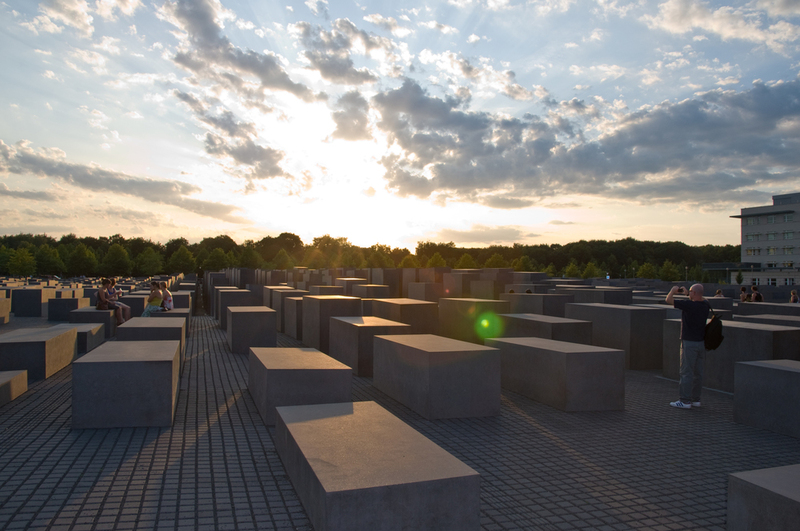 This formal approach of the warped surface eroding the field of walls from the top recalls Peter Eisenman's strategy for his sculptural memorial in Berlin. At the Memorial to the Murdered Jews of Europe, Eisenman uses the warped surface of the ground to alter the visitor's relation to the concrete pillars. As you enter the field, the pillars are low, creating a bench or steps for children to jump between. The further in you proceed, their scale dramatically increases, becoming looming columns that block the light and instilling an unease that evokes the emotional effect of the Holocaust's atrocities. 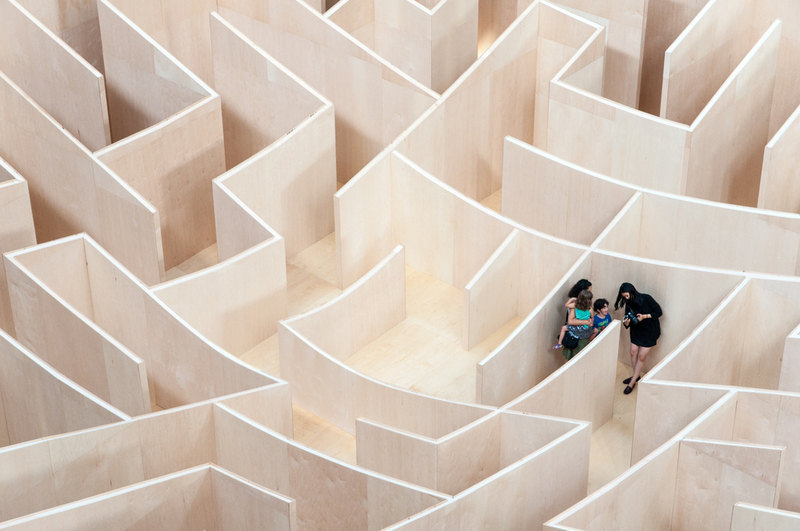 To add to the experience of BIG's maze, the visitor can gain a different perspective as they visit the upper levels of the museum and look down on its intricate paths from the colonnades. Aerial perspective from the second floor colonnade. Bjarke Ingels leading a tour in the maze. Aerial perspective from the third floor colonnade. Hopefully with the success of the maze, the museum will seek more opportunities to engage the public with architecture in a space which begs for elements that activate it and create a dialogue. Architects: BIG (Bjarke Ingels Group); Program: Exhibition; Location: National Building Museum, Washington, D.C.; Completion: 2014.